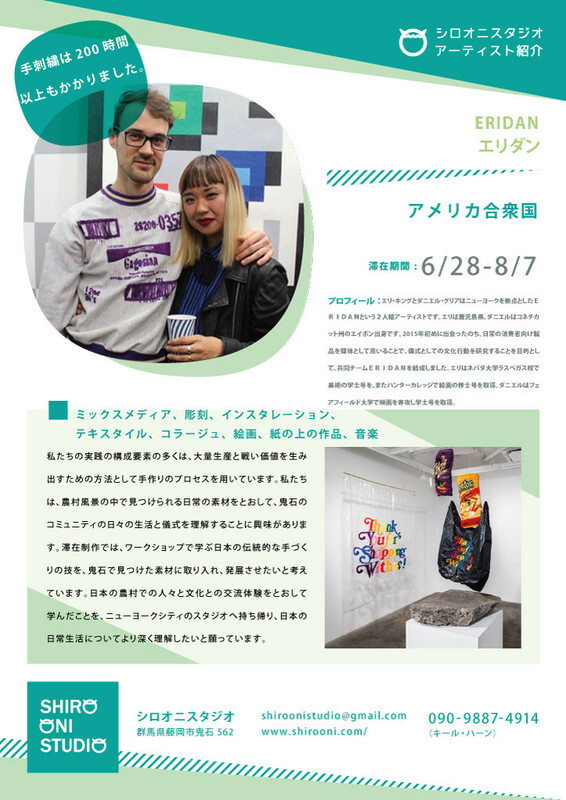 Eri King and Daniel Greer are the New York-based artist duo ERIDAN originally from Kagoshima, Japan and Avon, Connecticut, respectively. After meeting early in 2015 they formed ERIDAN, a collaborative team aimed at investigating the behaviors of culture as rituals through the use of everyday consumer products as our medium. King received a BFA in Studio Practice at UNLV and a MFA in Painting from Hunter College. Greer received a BA in New Media: Film from Fairfield University.